3 3) Know thyself. Is day-trading right for you? It’s tempting to just jump in and start trading, but this technique of “sink or swim” have a tendency to quickly empty ones trading account. Unlike what some online sites want you to believe, FX trading is not a fool-proof get-rich-quick thing where you click around a bit and earn big bucks without having to work for them. No, not even with that magical investment strategy that someone is trying to sell you for $49:99 ONLY TODAY. Do your homework. Learn about the FX market. Aim for being a long-term successful FX trader rather than a luck-based flash in the pan. Investing and speculating are risky. If you want to make money this way, you can never totally avoid risk – but you can mitigate it. Don’t put all your eggs, or even most of your eggs, in the same basket. 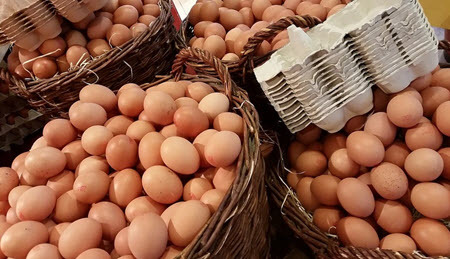 Don’t spread your eggs over multiple baskets and then put all of them on the same truck, because if that truck goes off a cliff all your eggs will be crushed even though they are in separate baskets. This might sound easy, but many FX traders struggle with it. When you just know that the USD is about to appreciate against the EUR it will be so tempting to just push all your assets into USD and wait for that sweet raise to occur. Maybe even use some leverage…. 3) Know thyself. Is day-trading right for you? Many beginners enter the FX trading world hoping to make money from the adrenalin-fuled day-trading aspect of the FX market. In this high-energy trading style, every second matters and you will constantly be making quick decisions. It is fun, exciting and quite addictive. But is it right for you? Being a day-trader can quickly burn you out, especially if you do it every day. For some, focusing on longer-term investments in currency is the better route, especially if you don’t like being glued to your phone, constantly checking currency rates and catching up on politcal/economic news. Most of the serious platforms for retail FX trading will let your try out the platform using play-money instead of forcing you to risk your own hard-earned cash. Use play-money to explore the platform and see how it works. Do you like the layout and the features? Is it buggy? Is it easy to find what you’re looking for? Use play-money to learn how the trading room works. You don’t want to make a costly mis-click when you’re risking real money. If you have a new strategy that you are interested in carrying out, always try it using play-money first. Some strategies seem amazing on paper, but when we actually start trading with them, we quickly see their faults. Retail forex trading is available 24/7 and the platforms never sleep. That doesn’t mean that you will be a good trader after being up for 48 hours, or getting just a few hours of sleep per nychthemeron. Take care of your self. It’s a marathon and you want to be a long-term profitable FX trader. Eat well. Get enough sleep and rest. Excersie. Breathe fresh air. Invest time and resources into maintainting and improving your mental health.